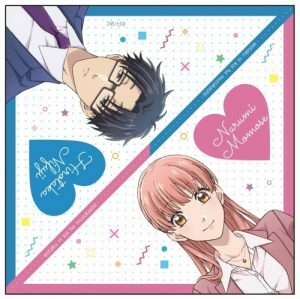 Wotaku ni Koi wa Muzukashii Drops Three Episode Impression! I really want this to be good. It's noitamina so I know it should be okay, but will A-1 Pictures do it justice? This feels a lot like Gekkan Shoujo Nozaki-kun, just this time, both characters are wotaku in their own way. I think it will be great! I think this is going to be more like Kaichou wa Maid-sama!. I smell a good rom-com on our hands. I hope I laugh a lot here. Oh I just remembered another! Fans who enjoyed the comedy of Tsurezure Children should also be watching this for sure! TL Note: Wotaku was a term created to be akin to otaku, someone who is heavily into something, but in order to distance themselves from the negative connotation with the word otaku itself. Gamers, figure enthusiasts, idol fans, and more often use this word. 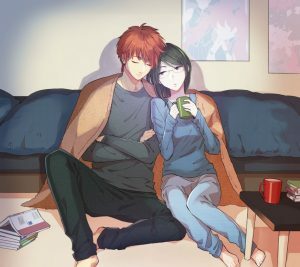 Do you want to watch a show full of references to games and anime but still has a very unrealistic take on romance between people obsessed with their hobbies? 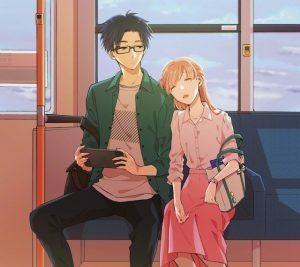 Watch Wotakoi. 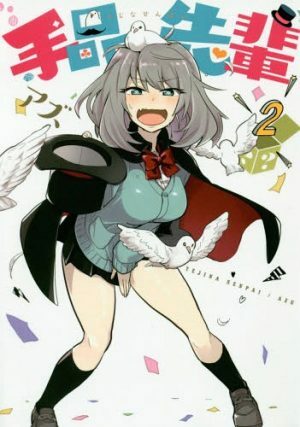 This series is beyond funny and cute, but horribly unrealistic. It’s yet another great bubbly romance anime that teases fans with a “what if…?” setup. You know, what if your boyfriend would let you do a fujoshi photoshoot with him as one of the models while you wore cat ears and ended everything with ‘meow’. 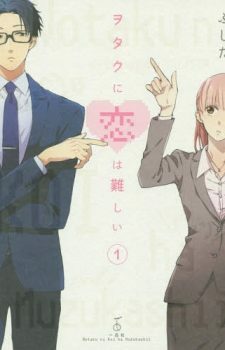 Hilariously enough though, this series has sparked news outlets in Japan to ask real Otaku/Wotaku if they could date someone of the opposite gender who was like them. 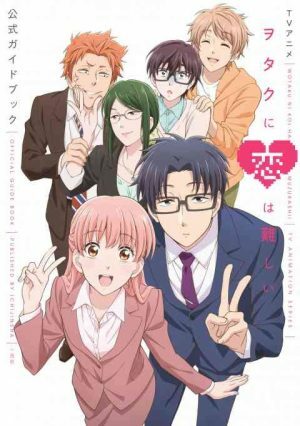 Turns out both sides said no thank you, but in Wotakoi, we see an adorable yet funny romance blossom not only between Hirotaka and Narumi, but also between Tarou and Hanako. It’s a great show showcasing romance with two very different personalities. Narumi is a well-rounded fujoshi wotaku who has many different things she likes like Manga, Otome Games, Idols, and more. She tries her hardest at work to keep up appearances with the normies and fears being outed as a wotaku more than anything else. Hitrotaka is a wotaku who specializes at games and anything related to them. He also has a moderate taste for manga and anime. He’s got looks, he’s good at work, and he has high spec glasses. He generally is expressionless. In the wotaku world, she is a famous, good-looking cosplayer. She loves 3D things as well like stage plays and musicals. She is also moderately well-versed in BL. Hanako appears to be a cool individual, but she is unexpectedly nosy and meddlesome. Taoru loves cliched themes like heroes and beautiful girls. He’s a wotaku-lite individual who is more into his hobbies than a normal person. He has a scary face, but he’s gentle at his core and looks after others well. However, his face IS scary. If there was a wotaku buzzword to explain Naoya in the wotaku world, it would be ‘non-wotaku.’ Unlike his older brother Hirotaka, he has a gentle expression, is sociable, and very expressive. He’s not very good at games, though. Kou is an introvert and rather quiet. He’s a solo gamer who is not very good at communication. He has a bad habit of apologizing rapidly for everything. 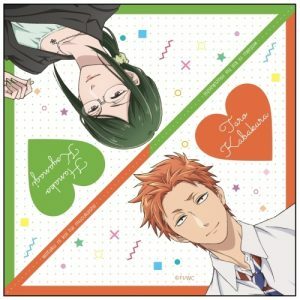 Wotaku ni Koi wa Muzukashii (Wotakoi: Love is Hard for Otaku) Review - When Otaku Fall for Other Otaku….! ?